The best way to explore a culture is through its cuisine, and this is what inspires Grand Velas Riviera Maya’s passion to celebrate the gourmet traditions of Mexico. Taking part in the tribute are acclaimed chefs Reyna Mendoza, Laura Ávalos, Ricardo Muñoz Zurita, Pablo Salas, Humberto May Tamay, David Cetina and Joel Ornelas. This is an opportunity to celebrate our culinary legacy, complemented by masterful pairings. We invite you to share the table with renowned chefs and celebrate the gourmet traditions of Mexico with masterful pairings. Surrounded by beautiful Chaká and Chechén trees and natural cenotes, Chaká creates the perfect setting for Grand Velas Riviera Maya’s fourth edition in the series of festivals paying tribute to the world’s great cuisines. 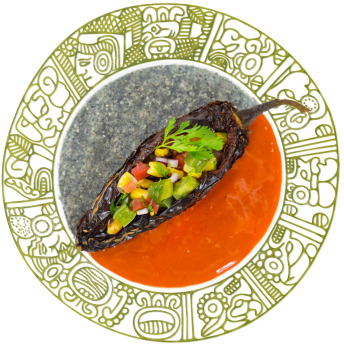 Inspired by the flavors in the dishes of the Yucatan Peninsula, infused with sour orange, smoke, lime, achiote and habanero, the restaurant offers a display of creations from the vast cookbook of southeastern Mexico. With the sea in the background and the Mayan jungle serving as natural scenery, The Best of Mexico's Culinary Traditions is an epicurean journey along a route drawn in ten courses by acclaimed chefs, who will use their talent – and their personal recipes – to regale you. Originally from Manzanillo, Colima, Chef Ávalos’ love of cuisine was inspired by her father’s example. 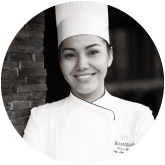 She began her career in 2012 at Grand Velas Riviera Maya when she joined the team at Piaf, the resort’s traditional French restaurant, under Chef Mario Soto. 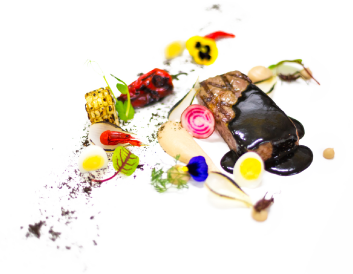 Her participation in previous editions of “Best Of” has allowed her to collaborate with renowned chefs including Maître Cuisiniers de France Christian Tetédoie, Claude Le Tohic, Claude Godard and Michel Mustiére. With experience in a number of prominent Riviera Maya resorts, Chef May’s culinary repertoire has been continually enriched by new techniques and flavors. He has participated in important events and gala dinners for La Chaîne des Rôtisseurs, Le Gout De France and The Best of France. Today, alongside Laura Ávalos, he leads restaurant Chaká, where he created a menu of Yucatecan specialties inspired by his roots and the flavors of the place where he was raised. Originally from Teotitlán, Oaxaca, Reyna Mendoza has been invited to participate in various congresses, forums and culinary gatherings including the Foro Mundial de la Gastronomía Mexicana in Acapulco and prominent festivals such as Sabores de Cuaresma in Michoacán, the 5th Chocolate Festival in Tabasco and the Festival de Los Moles in Oacaca. She also collaborated on the Grandes Chefs Mexicanos book, edited by Larousse Editions in 2017. 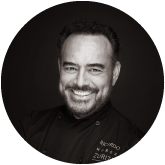 Recognized by Time Magazine as the “prophet and preserver of traditional Mexican cuisine”, Ricardo Muñoz Zurita is one of the most well-regarded chefs in Mexico. He owns renowned restaurants Azul y Oro, Azul Condesa and Azul Histórico in the country’s capital and has authored a number of books including the emblematic Diccionario Enciclopédico de la Gastronomía Mexicana. 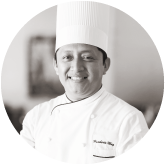 Named “The Traditionalist” by Food & Wine Magazine, due to his experience in local Yucatecan cuisine, David Cetina has participated in festivals such as Morelia en Boca 2014, Mexico-Fest 2014 in Vancouver, A Taste of Yucatan in Chicago 2015 and Expo Milan, Italy 2015. 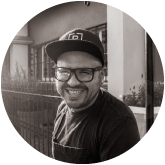 He holds the Guinness® World Record for the longest line of cochinita pibil tacos in the world, and in 2018 he inaugurated restaurant La Tradición in Mexico City. 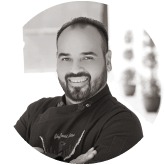 Chef and co-owner of Grupo Tintoque, Joel is a proud Vallartense who has worked with Michelin-starred restaurants and belonged to Grupo Pangea by renowned Chef Guillermo González Beristain. Today his culinary offerings are showcased in his restaurants Tintoque, Pezlimon, and Nixma. 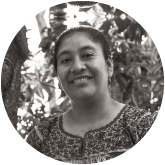 Owner of restaurant Amaranta (2010) - the product of a research project across the 125 municipalities in the State of Mexico - that was been listed among the 50 Best Restaurants in Latin America by San Pellegrino in 2014. 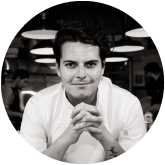 His projects also include Publico / Comedor with home-style cooking and two restaurants in the United States in collaboration with Chef Richard Sandoval: Pueblo and Lona. Enjoy a journey through the traditional cuisine of the Riviera Maya, surrounded by the stunning natural scenery of Grand Velas. Relax in luxury and exclusivity as your Personal Concierge manages every detail of your stay in paradise.